I was out of town last weekend, leaving Mr. Moe at home alone, and on Sunday I came home to this (above). 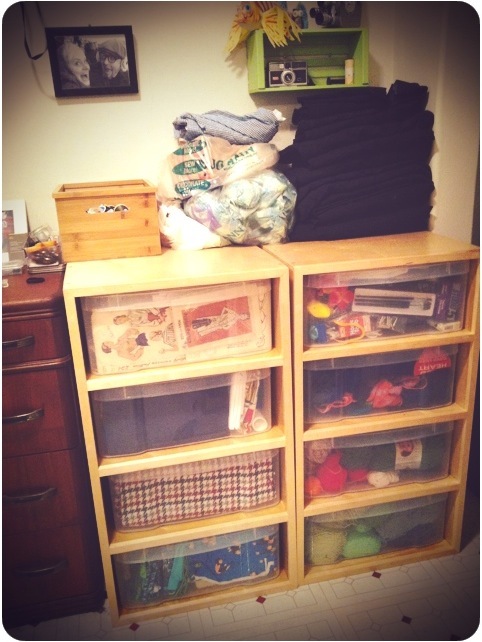 He spent the entire weekend swapping out my old fabric storage bins for these wonderful custom ones my dad made. 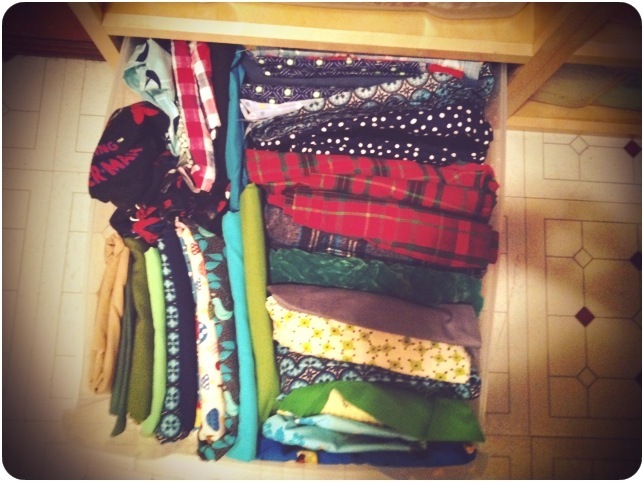 In the process, he completely sorted though all of my fabric, notions and unfinished projects and organized them by color, item and quantity. He’s amazing. I kind of wish I had a photo of what it looked like before so you could fully appreciate how much work this was, but I think I’m too ashamed to admit how much of a pile of mess it had become. We live in a tiny apartment and we’ve completely run out of room for all our hobbies and things. My sewing room (which is actually our dining room, as dignified eating has been sacrificed so I have a place to sew) was just outta control. My dad, also totally amazing, made these custom drawer cabinets for me (seen on the right) but with my busy work schedule lately (sorry for the radio silence here on the blog), I hadn’t had a chance to move everything into them. I’m sure I would have done a perfectly adequate job of it, but my dear Virgo husband took it to a whole other level. His one request was that I make him something out of the hot pink, shiny spandex I inexplicably had in my collection (second from top). In case you are wondering, I dressed as JonBenet Ramsay for Halloween one year. That was part of my get-up. We decided that a shiny cape, emblazoned with “Super Virgo” might be appropriate. 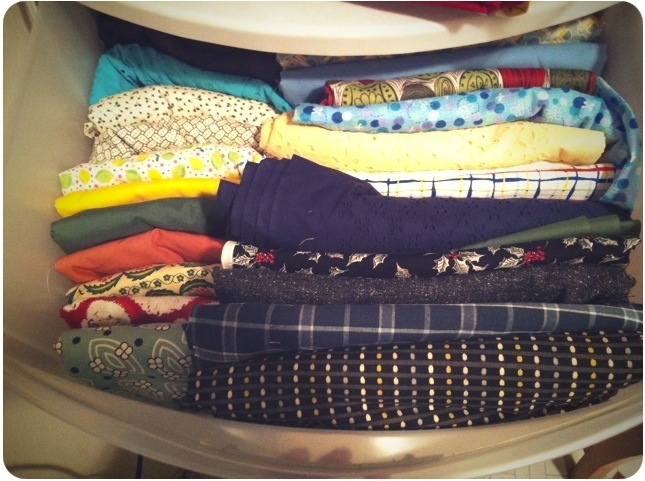 See some familiar fabric? Oh and yes, that’s Spiderman fabric. Spiderman flannel is very popular in our house come winter PJ-making time. Mr. Moe is a huge Spiderman fan. That pinkish-looking fabric near the back is some crazy burgundy and silver lurex and it’s totally awesome, but I’m wondering if I’ll ever get around to making anything out of it. It’s pretty freakin’ flashy. 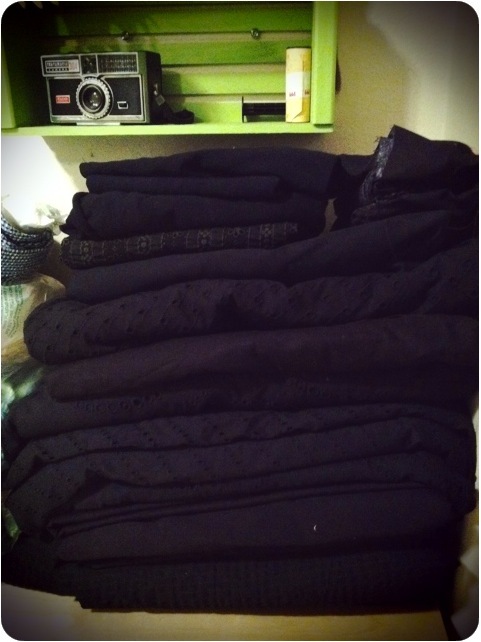 He stacked all my black fabric in one pile, possibly making a point about my recent black fabric obsession. 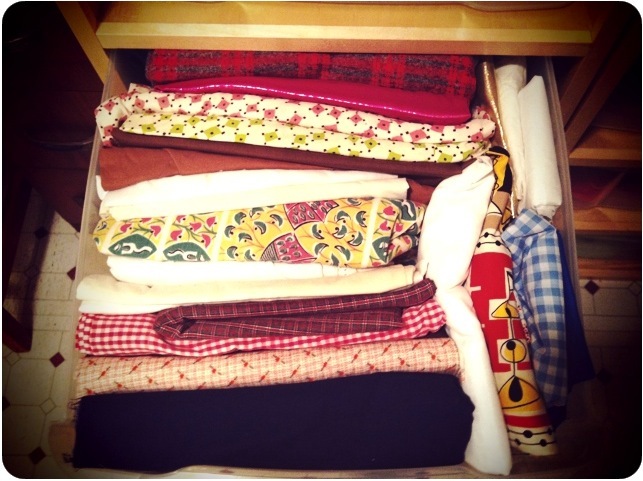 Lastly, a close-up of the fabric drawers my dad made. My dad is awesome. He made these in his community education wood shop class and they are way better than the old Crate & Barrel plastic ones I used to have. 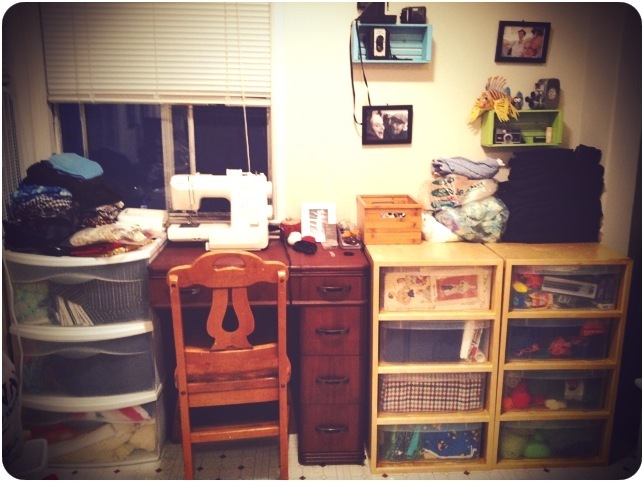 He also refinished my sewing table (seen at left) when I bought it at Urban Ore about 7 years ago. I have some pretty great men in my life. Not only my dad and my husband, but my friends, family and coworkers too. I feel pretty lucky. Thanks for being awesome, dudes. 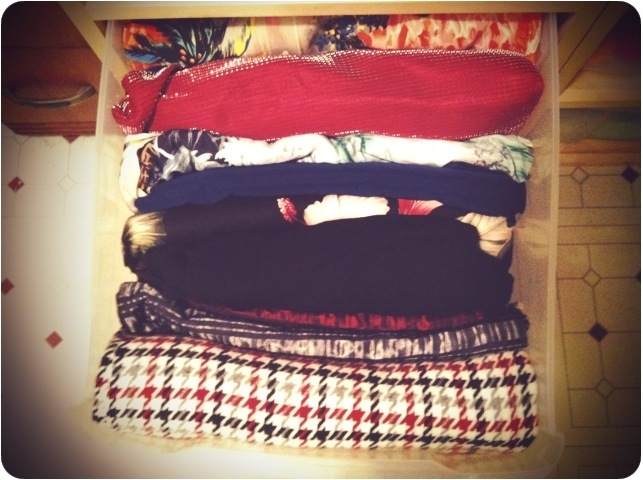 4 Responses to "Getting organized"
This post made me tear up…your organized workspace is my dream come true *also a virgo* and having a definite shortage of menfolk in my life, this made me feel very happy for you. Love is grand. You bet! I may not actually make him the cape. I’ll have to ask him how serious he was about that. So you can either have some or all of it.